This trendtitional tie is the perfect accessory for the young professional. 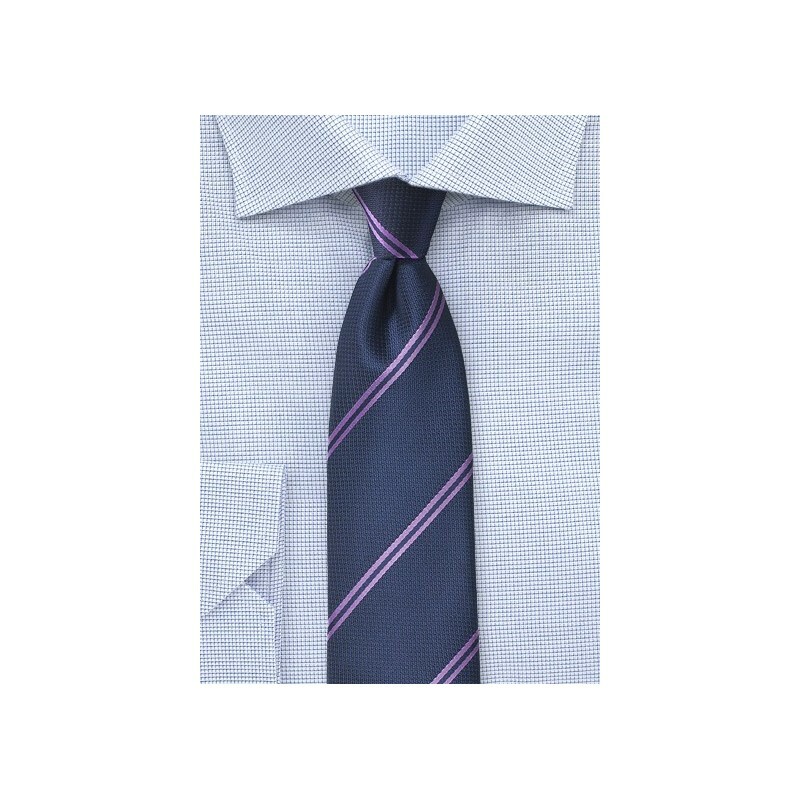 The slimmed down cut of 3 inches instantly gives this tie a contemporary look that is modern but not overly trendy. The matte navy background is paired with a shinier double stripe in lavender purple. 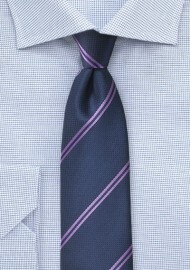 A perfect tie for suits in navy or gray. Our tip: Wear this tie with a light pastel blue or lilac colored shirt, navy pin striped suit, and a classic white linen pocket square. Made from care-free microfiber by PUCCINI.